Another person who needs a purple name >=) lol. "I could have been a contendor"
Aloha Game:) Welcome to the cookie forums sit down, have a cookie:) need milk with that? What's up with the purple name comment bro? Haha sorry, in my excitement I forgot to say.... 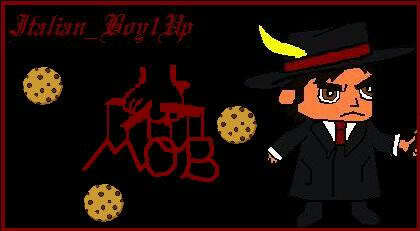 Welcome to the Cookie Mobster forums, enjoy your stay >=). Thank you for the welcome. Its nice to be here. Im looking forward to our match against you guys. Hey, welcome to the boards! I'll see you in Fat Princess.